The latest Aladdin PIX illustrated chapter book tells the tale of a brother and sister who—more than anything—want a pet pig. 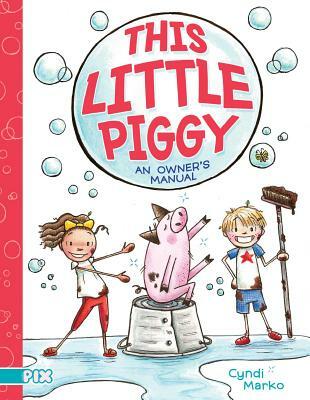 Getting the pig—Snowflake—isn’t all that hard, but keeping it clean, feeding it healthy snacks, and teaching it manners and tricks, proves to be more than these kids bargained for. Cyndi Marko is the author and illustrator of the Kung Pow Chicken series. She lives in Penticton, British Columbia, Canada.